The company said the deal was simply "too good to be true"
Many parents were left frustrated and angry Saturday after their Toys R Us purchases were canceled by the company. 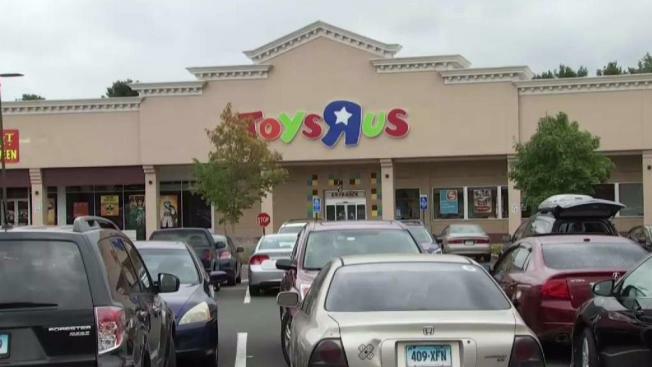 Some customers shared three coupon codes online that were intended for use by Toys R Us credit card holders. An apparent glitch in the system allowed customers to stack the coupons and use them together for one massive discount. The codes allowed 25, 20 and 15 percent combined off the total purchase. Shoppers were ecstatic about the savings. But the next day, some customers received emails saying that the orders were canceled due to items being out of stock. Rachel Myers received one such email and was "furious" about the way the company handled the mix-up. "They sent me an email saying that the products that were ordered were currently unavailable and were removed from the order. So I went back online and guess what? All of them could be added to my cart but not with the discount previously offered," Myers said in a Facebook message. The company later issued a statement saying that the deal was simply "too good to be true," and orders that should not have qualified for the deal were canceled. "Over the weekend several promo codes intended only for our credit cardholders were improperly shared online and quickly went viral," a representative said. Many patrons argued that it was the company's mistake and that they should honor the deal. Others felt it was "shameful" to knowingly redeem the codes and likened it to stealing. "Hundreds of people rushing to take advantage of a sale that wasn't meant for them. So yeah, let's everyone riot and hope the only kid store left closes because hundreds of people cheated the system," customer Kelly Wakeman said. Some lucky buyers reported being able to pick up their items in-store at the deeply discounted prices. "My order got canceled due to 'incomplete or incorrect information and lack of availability,' both of which were untrue. I explained the situation to the customer service desk and showed them my confirmation email. Even though the item was full price in store, they honored the online sale price and the stacked coupons from the glitch," Rachel Arrieta said. Another source of anger stems from pre-authorizations on credit and debit cards. Toys R Us said customers have not been charged for the canceled transactions and will need to contact their bank or credit card company.